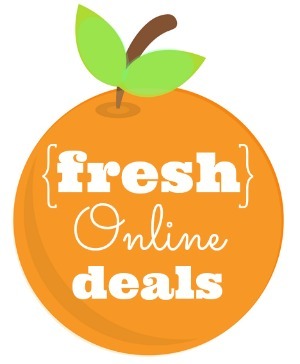 May 30, 2018 By Tiffany 7 Comments By clicking on our links, we might make a SMALL commission - Thanks for the support! See our full DISCLOSURE here. 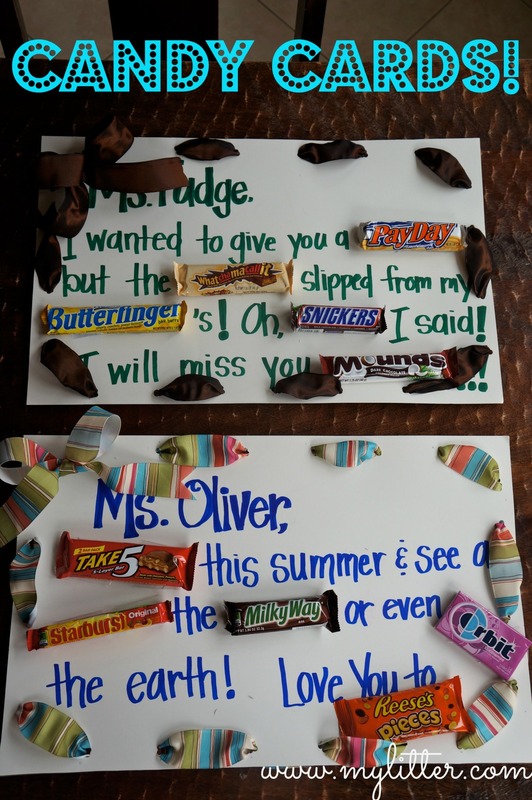 We did this for a teacher gift – but a Candy Card for Father’s Day would be a great gift if dad has a sweet tooth! We wanted to show our appreciation by giving you 100 Grand, but the money slipped through our Butterfingers. It was not Pay Day so we could not give you a shopping Spree in New York. We thought about an Orbit around the Milky Way but that would cost Extra. So just Take 5 and enjoy your card! We hope it doesn’t make you Rolo ver and get Chunky it it does. We promise not to Snicker! 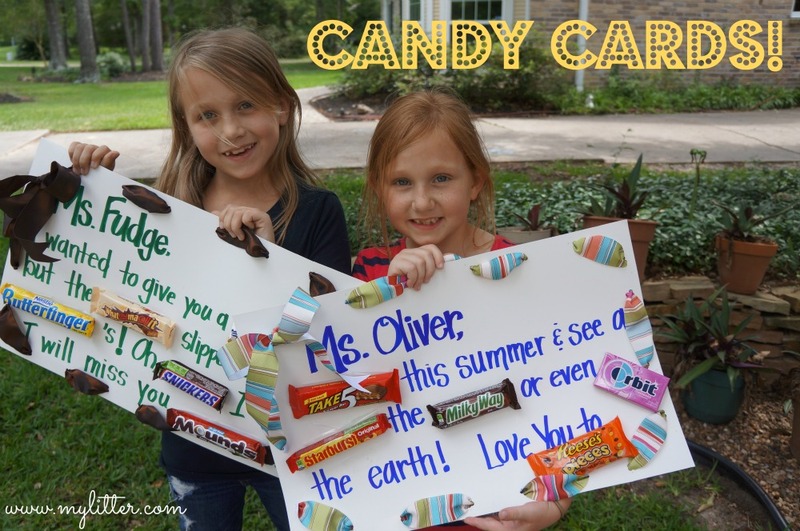 Making a candy card is a really easy and fun way to say thank you! 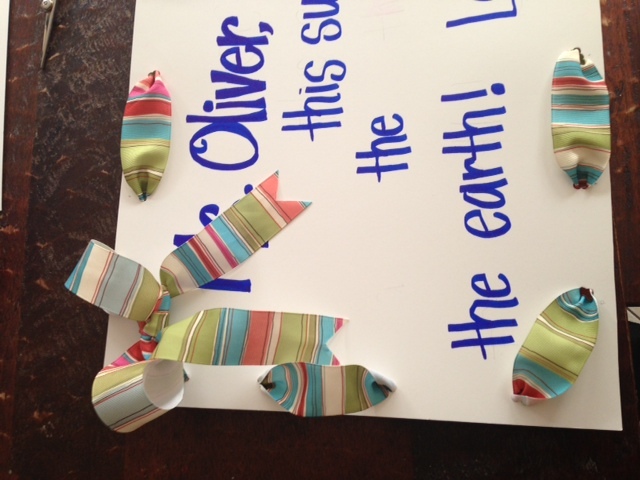 My girls made a few for teachers to go with a little gift they have for them today. 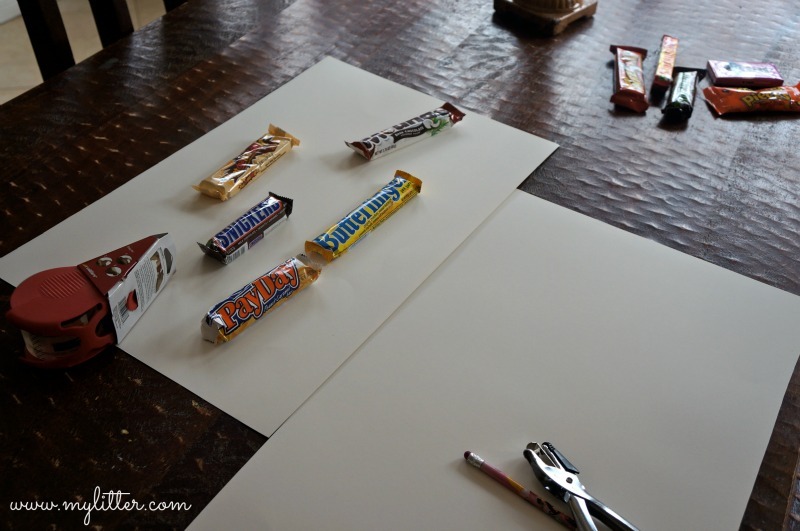 First, take a poster board ( I cut this one in half) and lay out your candy bars on the paper. 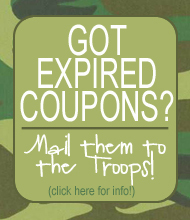 With a pencil write out the wording you want to use. I just made up mine with the candy bars I could find. Once you have penciled out your wording, take a marker or paint and do the final draft. 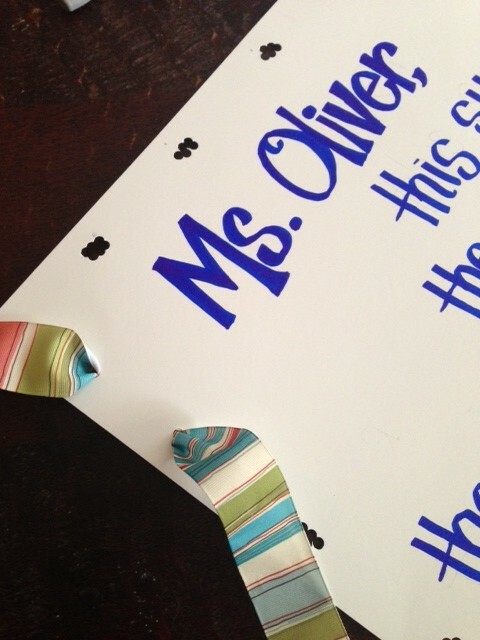 Then mark along the side where you want to add your ribbon. 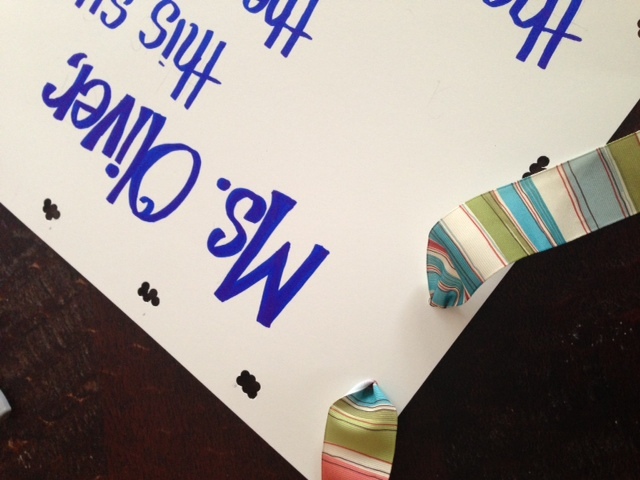 I didn’t have a big round punch so I used a hole punch and made a few holes for the ribbon to go through. 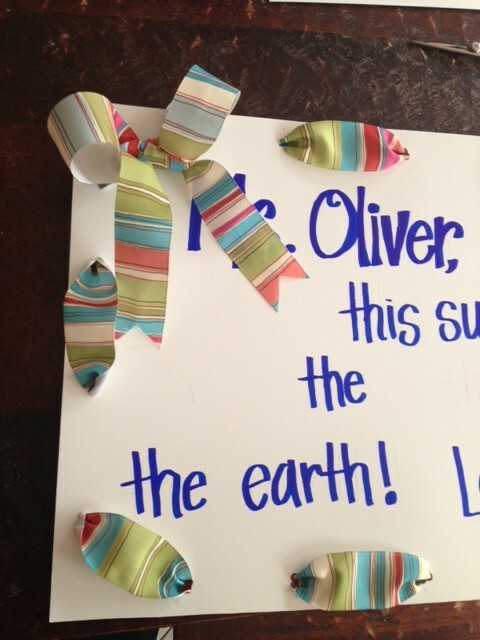 Take a ribbon and measure it around the outside leaving extra room for the bow and some “poofs” along the way! Then weave the ribbon around. Lastly I taped the candy bars on. I have hot glued them before, but it has melted the chocolate and makes it hard to take them off! They don’t have to be perfect!! Just make it fun! Haha GREAT idea! 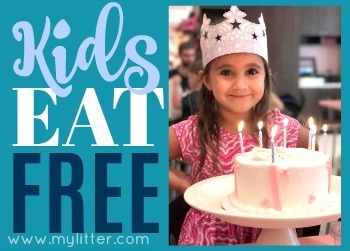 And lots of fun for kids! Will have to pass the idea to local teachers as I haven’t seen them (candy cards) here in the UK. Love them!! I was looking for a smaller version of the group card and this is great. My daughter has 4 teachers and I wanted some variety. This is the greatest thing i have seen so far, do you think it would make a great fathers day card as well? Absolutely, that is why I posted it! We made one for my daughter’s teacher and she LOVED it. We took it in a couple of days before school ended so I could see her reaction, (volunteer day) and she was practically in tears and must have thanked us 5 or 6 times. It was perfect for her and my daughter had a blast making it. 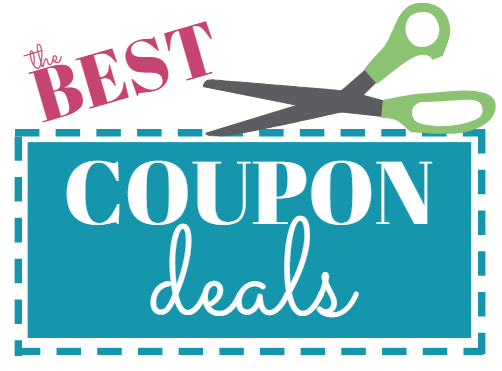 Do you still sell the coupon binders? i am interested in purchasing one?